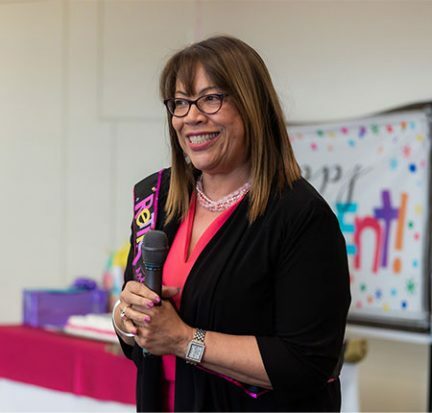 Fatima Cajas was mixing up coffee drinks at Delicias Cuban Bakery when she first met Dr. Maria Vallejo from Palm Beach State College. 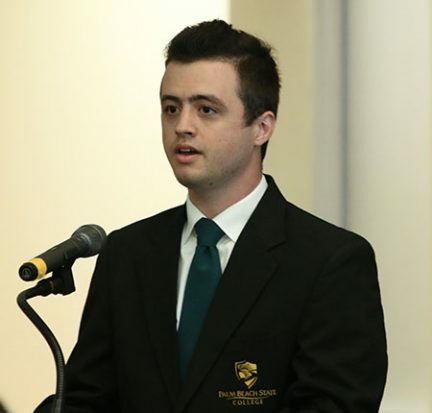 Joseph Culbreath, one of six Palm Beach State College students named to the 2019 All-Florida Academic Team, also has been chosen as a Coca-Cola Academic Team Scholar. 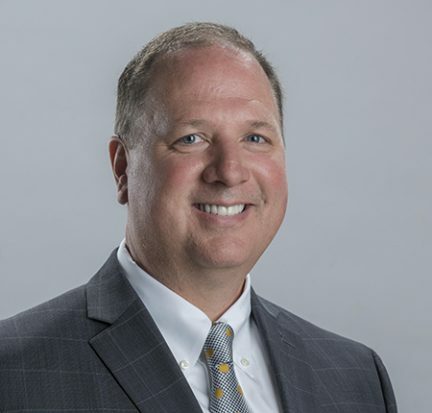 As a silver scholar, Culbreath, who serves as president of both the Phi Theta Kappa chapter on the Lake Worth campus and the Honors College Advisory Council, will receive a $1,250 scholarship and a commemorative medallion. 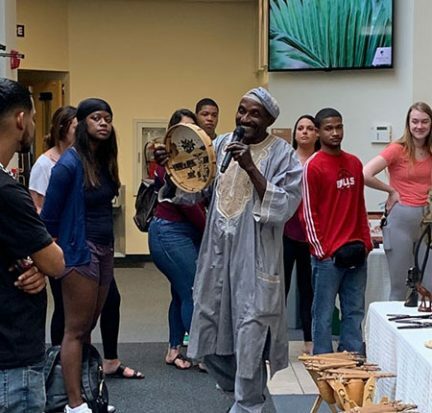 Dr. Andrew Luma, a Palm Beach State College professor, has visited most of the 54 nations in Africa, and each time he picks up artifacts that are now part of an extensive collection that he exhibits at campus events and South Florida museums. 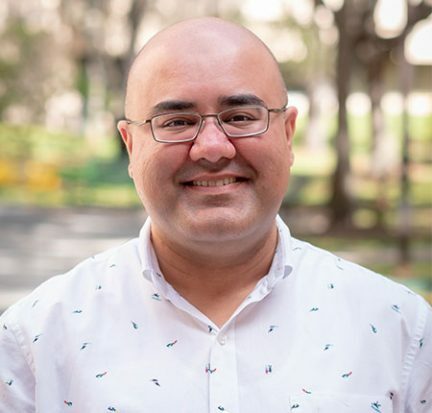 Palm Beach State College Associate Professor Anurag Katyal is among six in the nation selected to participate as a fellow in a Scholarship of Teaching and Learning (SoTL) initiative being piloted by the American Mathematical Association of Two-Year Colleges. 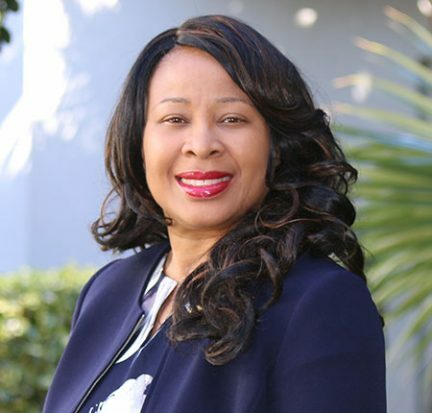 When Dr. Tunjarnika Coleman-Ferrell enrolled in summer classes at Palm Beach State College in Palm Beach Gardens in 1990, she never imagined that she would one day lead the campus. 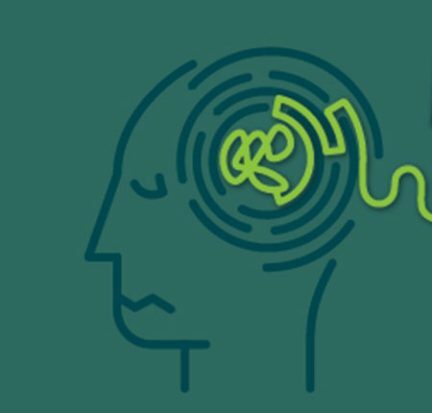 Palm Beach State College is bringing together local experts to discuss the critical topics surrounding mental health and to highlight resources available to help those in need. The Mental Health Open Forum will be held from 5 p.m. to 7:30 p.m. Jan. 29 in room LGA 139 at the Loxahatchee Groves campus. It is free to the public. Attendees are encouraged to register at www.palmbeachstate.edu/communityrelations. 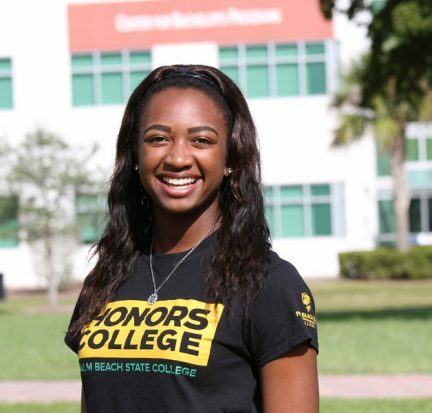 Palm Beach State College is launching a new Center for Excellence in Engineering Technology at the Belle Glade and Palm Beach Gardens campuses with a more than $2 million award from the Florida Job Growth Grant Fund. 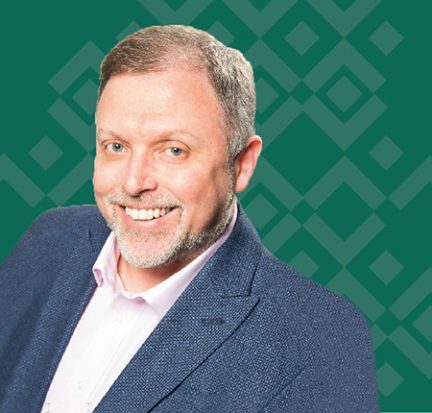 Tim Wise, one of the most prominent anti-racist writers and educators in the U.S., will be the keynote speaker at Palm Beach State College’s 20th annual Dr. Martin Luther King, Jr. Celebration set for Jan. 17.